Gubbing is what bookmakers do to protect themselves from winners. Winners don't make them as much money as losers (notably people placing long shot accumulators every week or casino players). Gubbing can come in a number of forms, but the bottom line is that it means that bookmaker account is no longer profitable. You can be either gubbed from bonuses, or gubbed through limiting (which means you can place onle pence on a bet and thus not profit from changes in the markets). It makes sense for the bookmakers to do this, if you're not a profitable customer then basically ban them and let a different bookmaker deal with you. That doesn't make it any less frustrating for a customer though, and of course it could happen to you without you even being involved in matched betting! The worst posible situation is to be gubbed mid-way through an offer. If your account is limited at that point it will be very difficult to extract any value from the free bet and you might as well cut your losses and run, or you'll end up mug betting 5p a bet until the end of time. You can protect yourself in some small ways from gubbing. 1. If the price is too good to be true, don't take it. Even a small arb (especially if it's been noted on forums and lots of people are taking it) can burn your account and cost you far more than you'd have gained by taking the arb. 2. Don't sign up to too many linked bookmakers too soon. 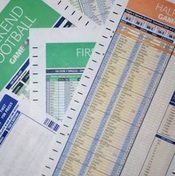 A lot of bookmakers are essentially the same, but with a different 'skin' on them. The odds are the same, the customer service is the same, they are one and the same. There are so many sites to join you just need to be smart and spread out the linked ones. 3. Make sure you're not being snooped by a reputation management system like iesnare. There's a full post on iesnare in the blog. 4. Don't just take the offers. If you're making good money from the Bet365 Channel 4 racing offers, drop a few pounds at the casino, or on poker, or just place the odd acca. Basically make some bets that make it look recreational rather than professional. Don't go crazy, but make it look like you're more ﻿mug punter﻿ than pro.